Cloudy with a few showers. High around 65F. Winds S at 5 to 10 mph. Chance of rain 30%.. Mainly clear skies. Low 41F. Winds SSW at 5 to 10 mph. The following individuals were either recently charged in Walworth County Circuit Court or recently made their initial court appearance. John J. Bain, 27, Delavan, has been charged with identity theft for allegedly misusing another person’s debit card. If convicted, he faces up to six years in prison and a $10,000 fine. Nicole M. Baker, 34, Whitewater, has been charged with theft for allegedly stealing more than $10,000 from the Whitewater business where she worked. If convicted, she faces up to 10 years in prison and a $25,000 fine. Brandon M. Barr, 20, Whitewater, has been charged with attempting to flee or elude police during a traffic stop. If convicted, he faces up to three years and six months in prison and a $10,000 fine. James W. Berst, 23, Whitewater, has been charged with possession with intent to deliver THC and possession of drug paraphernalia. If convicted, he faces up to three years and seven months in prison and $10,500 in fines. Dennis Lee Bunker II, 44, Browntown, has been charged with operating while intoxicated-fourth offense in the town of Geneva. If convicted, he faces up to six years in prison and a $10,000 fine. James L. Dowdal, 33, Delavan, has been charged with battery by prisoners for allegedly striking another inmate at the county jail in Elkhorn. If convicted, he faces up to six years in prison and a $10,000 fine. Jason J. Faust, 45, Lake Geneva, has been charged with bail jumping and disorderly conduct after an alleged domestic dispute. If convicted, he faces up to six years and three months in prison and $11,000 in fines. Andrew R. Gee, 22, McHenry, Illinois, has been charged with possession with intent to deliver THC, two counts of carrying a concealed weapon and possession of drug paraphernalia in the village of Sharon. If convicted, he faces up to five years and one month in prison and $30,500 in fines. Blake R. Jordan, 29, Delavan, has been charged with physical abuse of a child for allegedly inflicting brain injuries on a three-month-old baby. If convicted, he faces up to 15 years in prison and a $50,000 fine. 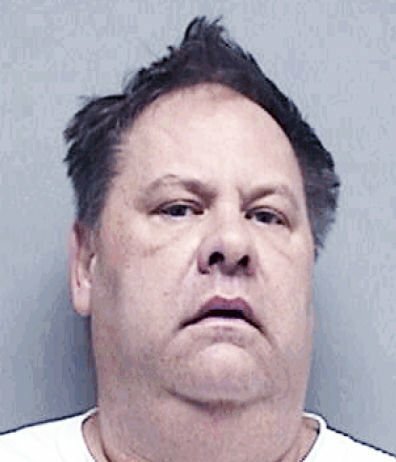 Greggory J. Langdon, 54, Lake Geneva, has been charged with operating while intoxicated-fifth offense, following a traffic crash in the town of Geneva. If convicted, he faces up to 10 years in prison and a $25,000 fine. Brandon D.Laschiava, 22, Janesville, has been charged with possession with intent to deliver THC and carrying a concealed weapon in the village of Sharon. If convicted, he faces up to four years and three months in prison and $20,000 in fines. Michael J. Leighton, 49, Milwaukee, has been charged with five counts of identity theft for allegedly misusing another person’s credit card in Lake Geneva. If convicted, he faces up to 30 years in prison and $50,000 in fines. Andrew J. Long, 24, Whitewater, has been charged with two counts of manufacture/delivery of LSD, manufacture/delivery of psilocin or psilocybin, manufacture/delivery of THC and possession of drug paraphernalia. If convicted, he faces up to 33 years and seven months in prison and $85,500 in fines. Justin S. Moronez, 36, Delavan, has been charged with three counts of burglary, two counts of receiving stolen property, and identity theft in the town of Richmond. If convicted, he faces up to 45 years in prison and $105,000 in fines. Matthew R. Rutkowski, 29, Genoa City, has been charged with physical abuse of a child allegedly involving an 11-year-old child. If convicted, he faces up to three years and six months in prison and a $10,000 fine.